Our web developers have experienced this latest progressive framework to bring you tremendous success. With our Vue.js development services, you will be able to present the best view of your application to your users. 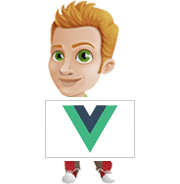 We as a dedicated Vue.js development service, follow an agile flow which will ensure complete transparency in the project and uninterrupted communication. HK Infosoft provides all kinds of Vue.js development services. Hire Vue.js developers from us who are dedicated to provide proactive solutions to clients. We have a track record of on-time delivery of all kinds of Vue.js application development projects. Hire Vue.js Developers to get your work done more comfortably and without any troubling formalities. E-mail us any clock at – hello@hkinfosoft.com or Skype us: “hkinfosoft“. Let's give a WOW to your web app with our ionic expertise! We have developers and project managers with excellent communication skills. Our dedicated programmers work as per to meet your requirements. We offer cost efficient and time adhered model of hiring our developers as per your need.